The President’s Medalist Award celebrates the top student in each undergraduate class. Selected by a committee for their high GPA, rigor of their classes and number of Honors courses, the recipients for the 2017-18 academic year come from a broad range of disciplines. Junior medalist Elise Stefanou is an English major serving as the editor-in-chief of a neuroscience publication. Sophomore medalist Alexander Peterson is building the foundation for a career in public service while pursuing a degree in economics. 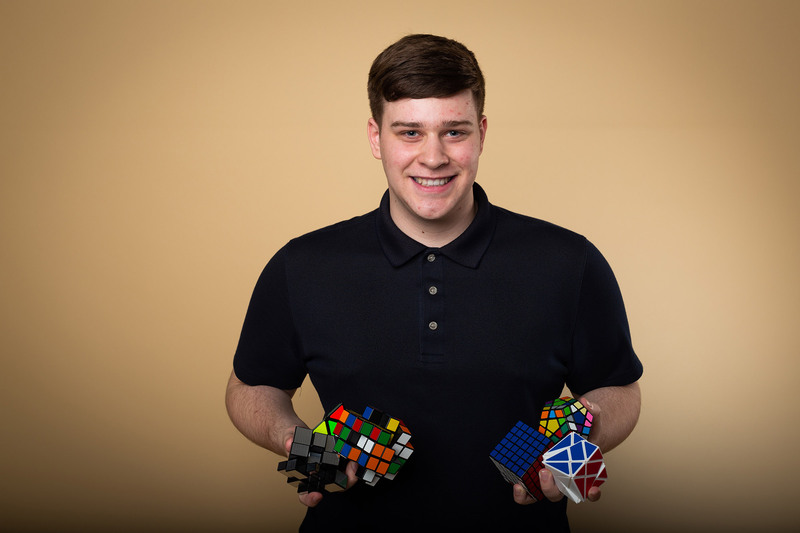 Freshman medalist Jason Wien has a penchant for chemistry and is actively exploring other STEM majors, including mathematics and computer science. These exceptional students will be recognized at a reception with University President Ana Mari Cauce, and this award will be added to the students’ permanent academic record. An avid reader since childhood, Elise Stefanou’s love of literature runs deep. Now, an English major at the University of Washington, she is developing her own voice as a writer. Pursuing the interdisciplinary track in the Honors Program prompted her to test her writing skills in subjects beyond her major. 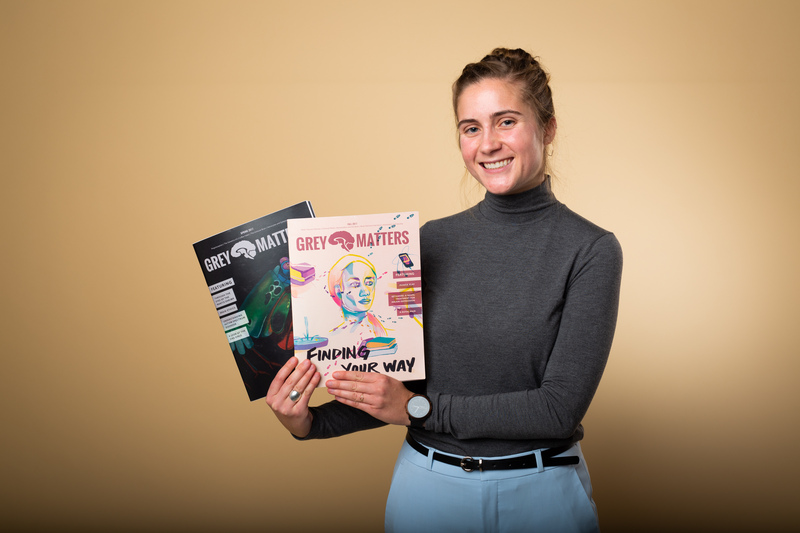 Fast forward to her senior year: She now serves as editor-in-chief of Grey Matters, the UW’s undergraduate neuroscience journal, and received a Mary Gates Leadership Scholarship to support that position. In this role, she leads a team of more than 50 editors, authors, designers and illustrators to produce the quarterly publication. Along the way, she works with her team to explain complex neuroscience topics to a general audience. Stefanou also completed her undergraduate honors thesis for her English major, designing and pursuing her own research on the theoretical writings of Sylvia Wynter. As part of her project, she worked closely with fellow English Department students and faculty. Stefanou’s experiences with Grey Matters and her thesis have solidified her passion for student-led, interdisciplinary learning and collaboration. She is also the recipient of the Thomas A. Lederman Endowed Scholarship, a scholarship that supports undergraduates studying the humanities. Outside of academics, Stefanou is the proud sister of Anna, Will and Luke, whose humor and support have kept her laughing through many long essays and readings. Alexander Peterson’s long-standing fascination with the qualities of effective leadership has grown into a passion for politics. Eager to jump into the field, Peterson actively seeks out opportunities to serve the community. In high school, he started his own local nonprofit organization to teach children with developmental disabilities to play beginner instruments. He was also elected chairman of the Washington State Legislative Youth Advisory Council, which involved speaking at events for the U.S. Department of Education and the State Department. This work earned him the 2016 United States President’s Volunteer Service Award. Now at the UW, Peterson is working hard to gain as much experience as he can in a variety of fields. As a freshman, Peterson received a U.S.-U.K. Fulbright Scholarship to study Middle Eastern politics at the University of London. Eager to learn more, he conducted his own research on the history and revival of Modern Hebrew while studying abroad at Tel Aviv University in Israel. 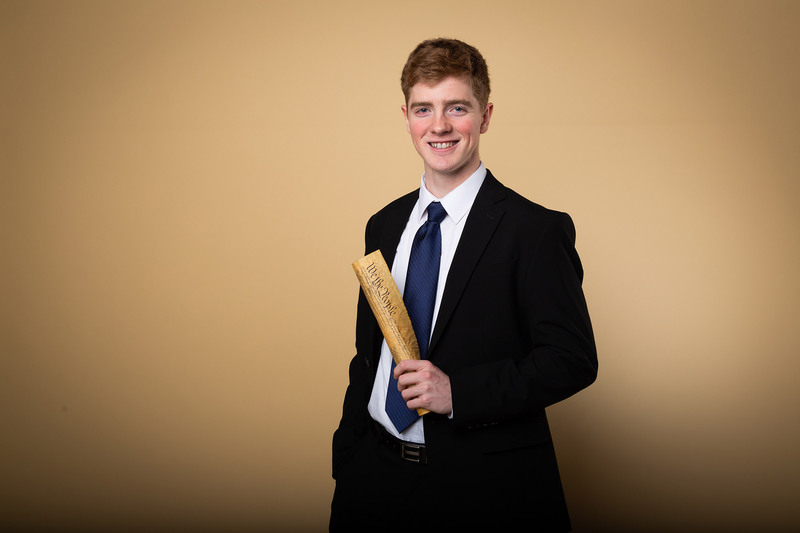 On campus, he has taken an active role in leadership, serving as an ASUW senator, a member of the Office of Government Relations Legislative Steering Committee, and a member of the HUB Board of Representatives. He is also pursuing an interdisciplinary honors education through the Honors Program. Peterson’s long-term goals include law school and a career in politics. As a future public servant, he aims to work towards sustainably bridging the currently charged political dichotomy. When considering his path forward, Peterson explains that he intends to build his career on integrity and genuine servant leadership. Beyond politics, Peterson enjoys playing music, hiking and writing. His Christian faith remains a priority in his life, as does being a positive role model for his younger siblings. Jason Wien is using his time at the University of Washington to zero in on his passions. His high school goal was to figure out what subject he wanted to study in college. He arrived at UW, directly admitted to his chemistry major. However, while thriving in his honors general chemistry classes, and earning an honors general chemistry achievement award, he realized that a career as a chemist was not the right fit for him. He’s now exploring other STEM fields and considering a double major in mathematics and computer science. Throughout all of his courses, he has been impressed by his professors’ extensive knowledge and commitment to their students. Wien has long been dedicated to maintaining a good work-life balance, and it’s paying off. In high school, he was a national A.P. scholar and a national merit finalist. He also played alto sax in jazz band and percussion in concert band. He went on to earn the outstanding musician award for his percussion skills. When Wien isn’t studying, he enjoys spending time with friends and playing computer games. He also enjoys Rubik’s-type puzzles because of the logic and algorithms involved in solving them.